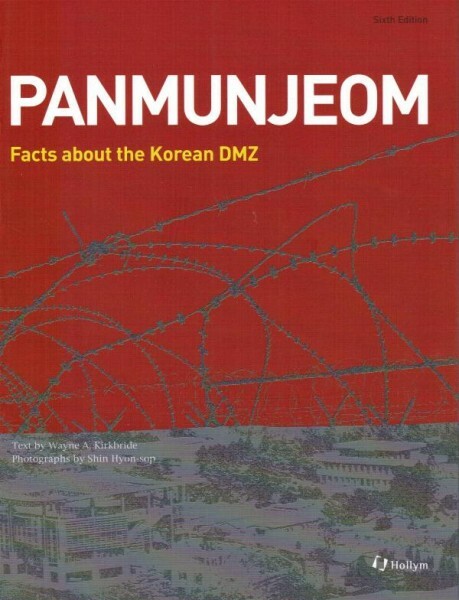 Produktinformationen "Panmunjeom - Facts about the Korean DMZ (6th Edition)"
Though not well-known to many outside Korea, Panmunjeom should be one of the most talked about places in the world, as it is the most heavily armed and potentially dangerous tracts of land anywhere on earth. Panmunjeom is a site on the de facto border between North and South Korea, where the 1953 Korean Armistice Agreement which ended the Korean War was signed. Today North and South Korean officials meet at Panmunjeom in efforts to resolve military, economic and political problems on the Korean Peninsula. This book captures the atmosphere at Panmunjeom, a place fraught with scars from the Korean War and agony as a divided nation, with a variety of photographs. In fact, what most stands out in this book is that it is written by an official who served US Army inside the Joint Security Area. Throughout this book, readers will better understand the history of Korean War as well as of this important area to include a report on many incidents broke out around Panmunjeom, including the Panmunjeom Axe Murder Incident. Wayne Kirkbride graduated from West Point in 1972 to begin a career in the US Army which included infantry, special forces and airborne assignments as he commanded troops in the 101st Airborne Division, 82nd Airborne Division, and the 5th and 7th Special Forces. He authored books titled "North Korea's Undeclared War: 1953-" and "DMZ: A Story of the Panmunjom Axe Murder." Weiterführende Links zu "Panmunjeom - Facts about the Korean DMZ (6th Edition)"
Unser Kommentar zu "Panmunjeom - Facts about the Korean DMZ (6th Edition)"
Kundenbewertungen für "Panmunjeom - Facts about the Korean DMZ (6th Edition)"